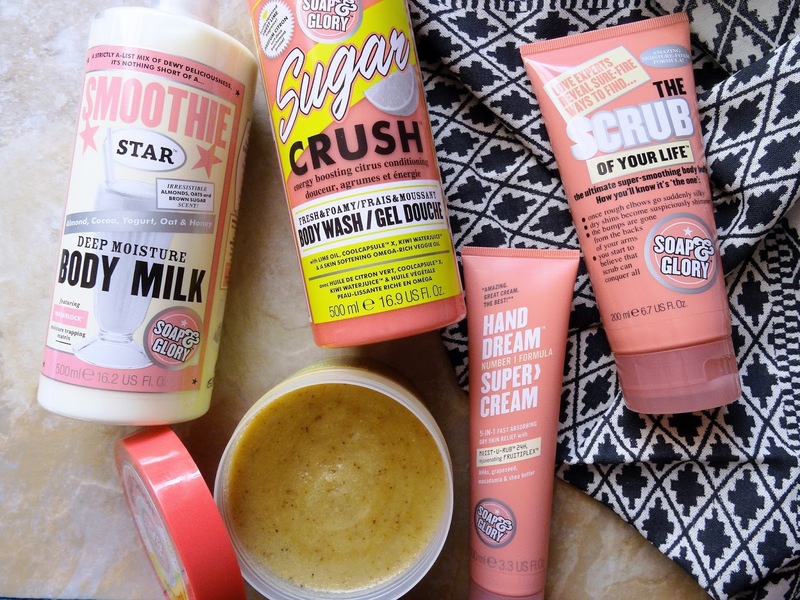 Back in December I did a post on the Whole Glam Lot set by Soap & Glory and I mentioned that I wanted to share mu favourite products by the brand. I haven't tried many of their makeup products so this is purely body products. I've been using Soap & Glory for years and they are definitely my go-to when it comes to my body care. They're inexpensive considering how much product you get but I do always pick them up when they have a 3 for 2 offer on at Boots. As I mentioned, the Sugar Crush range is my favourite from Soap & Glory. It has a nice fresh, citrus smell that's enough to wake me up in the morning. 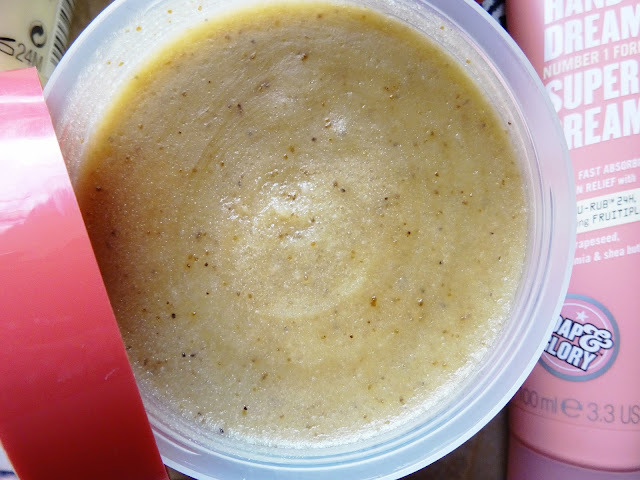 This body wash foams up well and provides a really good clean. 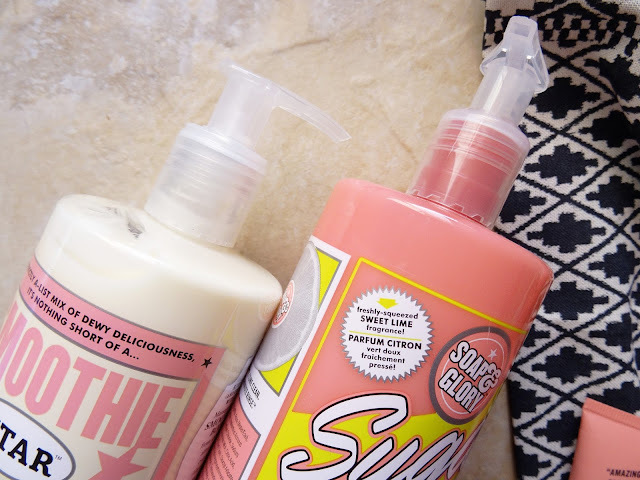 I use mine with the Soap & Glory Shower Puff and I only need two pumps at a time. 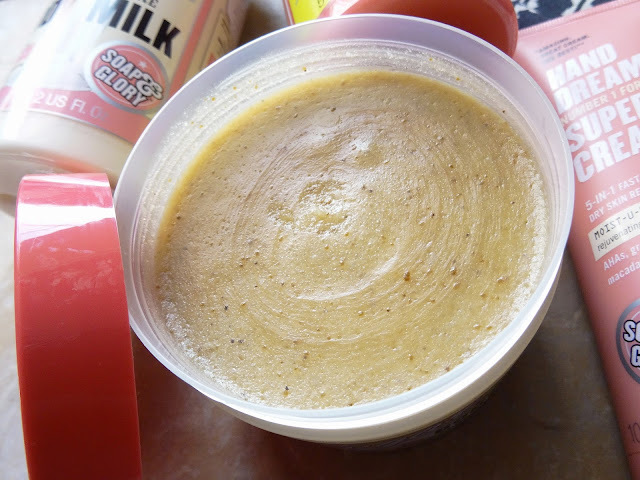 Unlike a lot of body wash products, this one keeps my skin smelling good throughout the day, even without the milk. The scent of this body milk used to be my favourite of the range before I discovered the sugar crush range. But I have a soft spot for this product as I've used it for so long! As I've mentioned so many times on my blog before, I am so lazy when it comes to moisturising my body so having a cream in a pump style bottle like this makes things a whole lot easier. 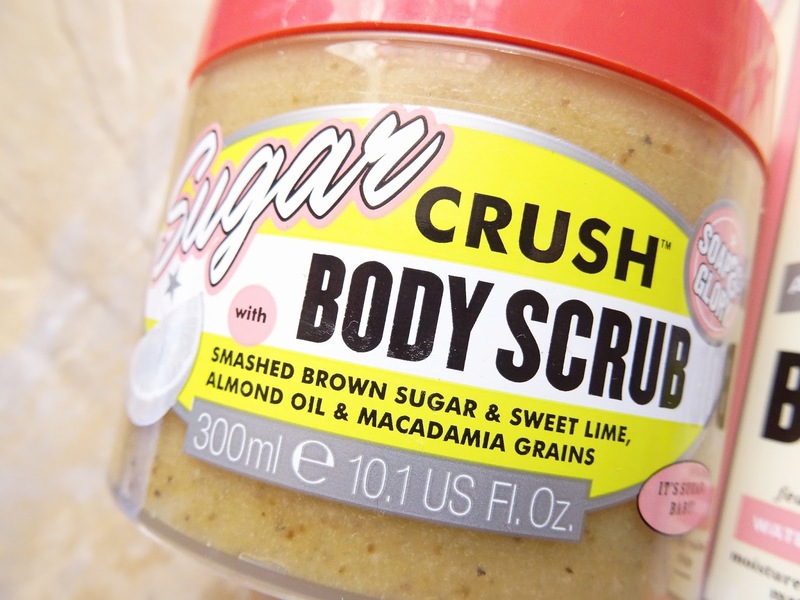 This literally lasts for months and like most Soap and Glory products the smell lasts all day! I also love that it's not too sticky and really moisturises my skin well. 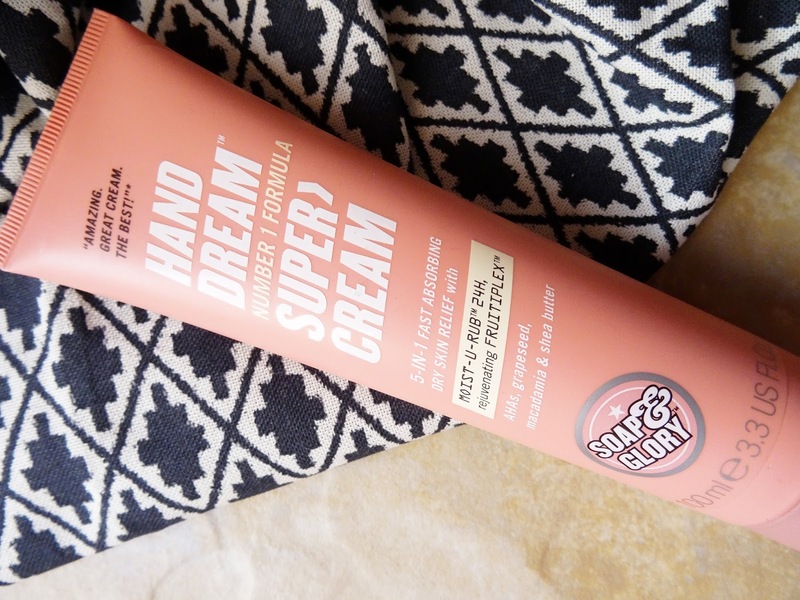 I'm not typically a fan of hand cream because I always have clammy hands. However, during the cooler months I've noticed that my hands look like those of a 75 year old woman and I realised it's important to moisturise them every now and then. This hand cream doesn't leave my hands feeling sticky and I don't feel like I want to wash the product off after. It absorbs quickly into my skin and makes my hands look really smooth. I wasn't able to find a link to this online so I'm not sure if it's discontinued! 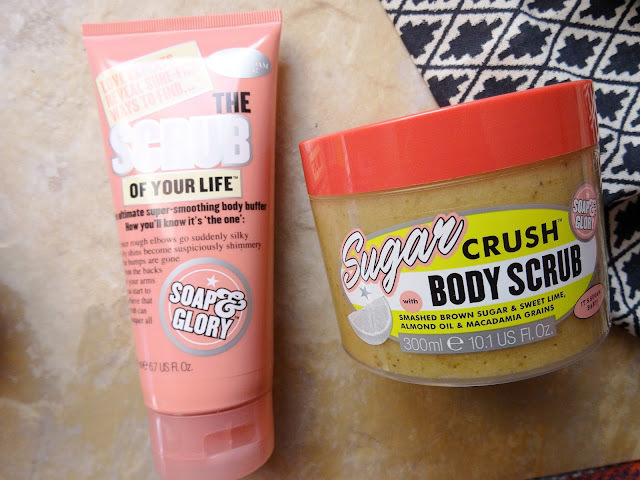 Overall I think Soap & Glory have an amazing range of products at a great price! What are your favourites? The Smoothie Star body lotion is everything! 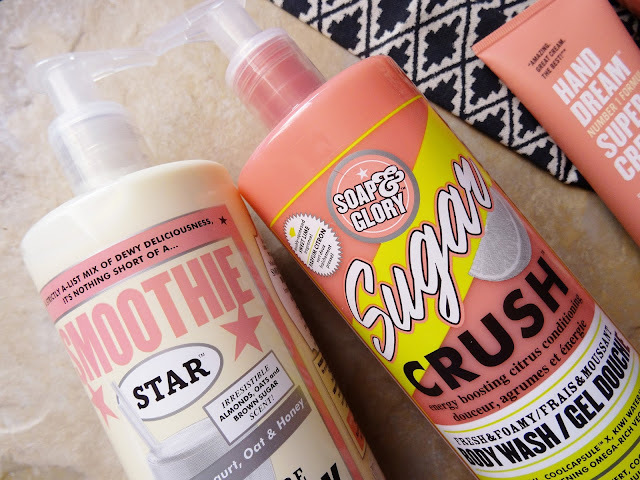 I love Soap & Glory and especially can't resist their 3 for 2 offers!